I'm not going to sugar coat it, there is nothing pretty about this soup. In fact, there's probably nothing pretty about any soup.... but what I can promise you is that it's delicious. When I first made this soup, I wasn't sure if I'd be able to convince Jesse to try it. 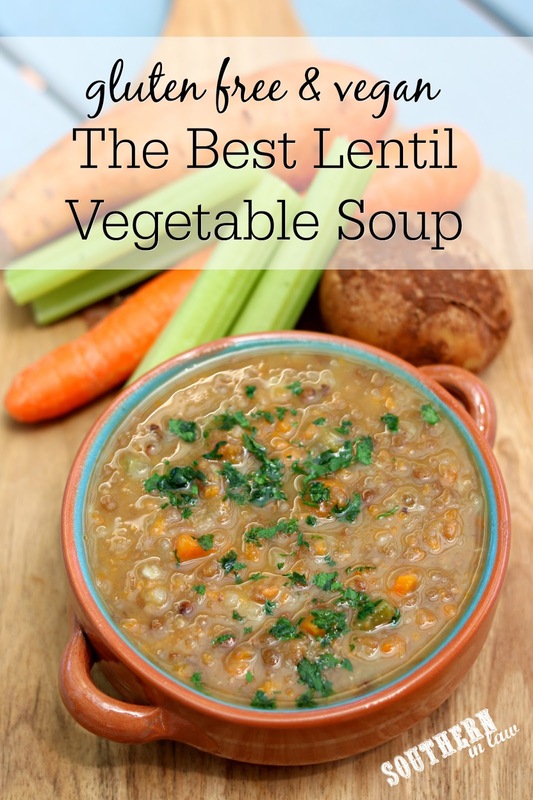 Lentil Soup? It's something he would have turned up his nose at, palming it off as a hippie vegetarian dish or a bit too weird for his liking. But little did I know, this soup would become his FAVOURITE dinner. But I did have to persuade him by serving it with cheesy garlic bread rolls...Whatever works, right! Nevertheless, he ate it, loved it and it's become a new staple in our house. 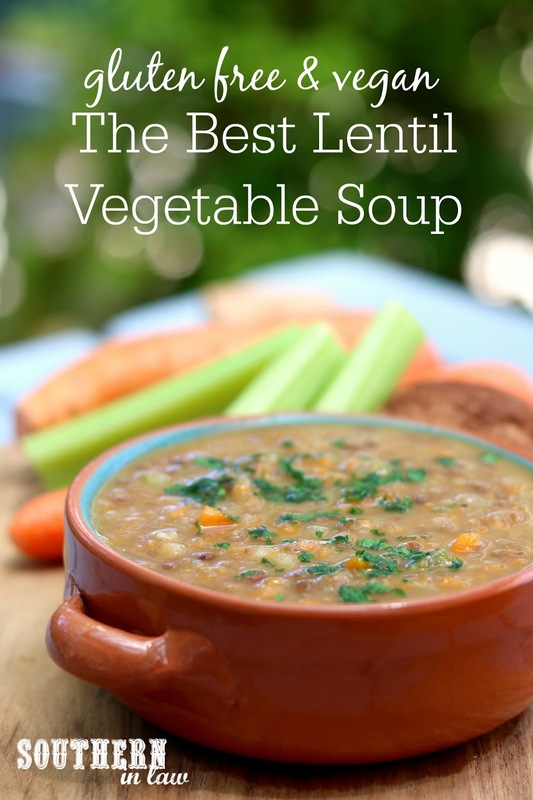 It's warm and comforting, easy to make and packed full of vegetables. Soup is one of my favourite easy ways to get extra veggies in - and whilst it's technically summer in Australia, we've been enjoying this all season long because it's too good to pass up. Place your onion, garlic and coconut oil/oil into a large saucepan and saute over a medium-high heat until your onion has softened. Add all of your other ingredients to the pot, bringing the mixture to the boil over a high heat before turning the heat to low to simmer your soup for ~30-45 minutes. Stir your soup occasionally, checking to ensure everything is mixed and taking your soup off the heat once all of your vegetables have softened. Season your soup to taste with salt and pepper or seasonings of your choice. Enjoy as is, or if you prefer a thicker soup, add some of the soup to a blender (or blend with a stick blender) and pulse a few times to break up some of the ingredients. This soup will keep in the fridge for 3-4 days or can be frozen in individual portions (we freeze ours in freezer and microwave safe containers) to defrost, reheat and enjoy later on. I have a Tefal Cuisine Companion and usually use this as it's so much easier. Instead of chopping the onion, I put it whole in the Cuisine Companion for ~15 seconds on speed 12 and then add the garlic and oil and set it to the "Slow Cooker" program (P1 for 5 minutes) to saute with the lid off. After that's done, I add all of the other ingredients, change the temperature on slow cooker P2 to 100C and set it for 45 minutes. At the end, I pulse it for a few seconds to break up the ingredients and make a thicker, heartier texture. 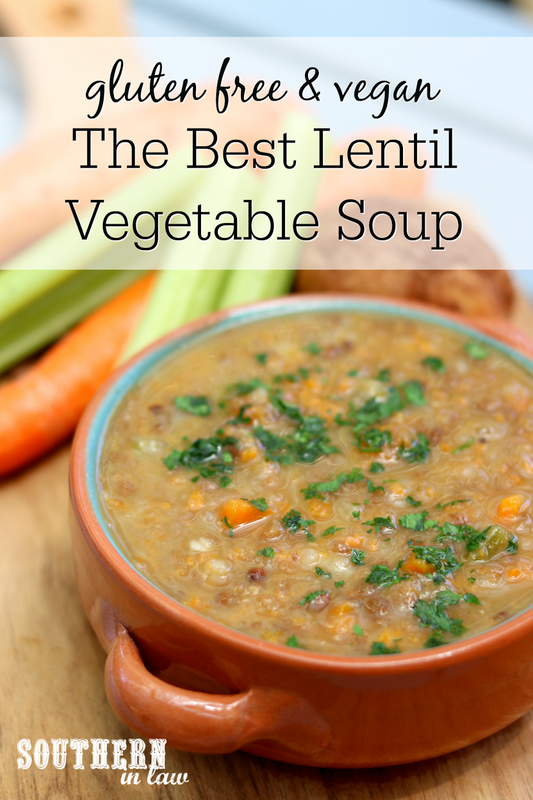 *You could probably use dry lentils instead of canned, however, I haven't been able to find dry lentils that are gluten free (that is, not cross-contaminated during processing) and canned lentils are super easy. The vegetable measurements in this aren't exact as I usually just throw in whatever we have in the fridge - mushrooms, peas, corn, zucchini, whatever! Add whatever you like or have available.